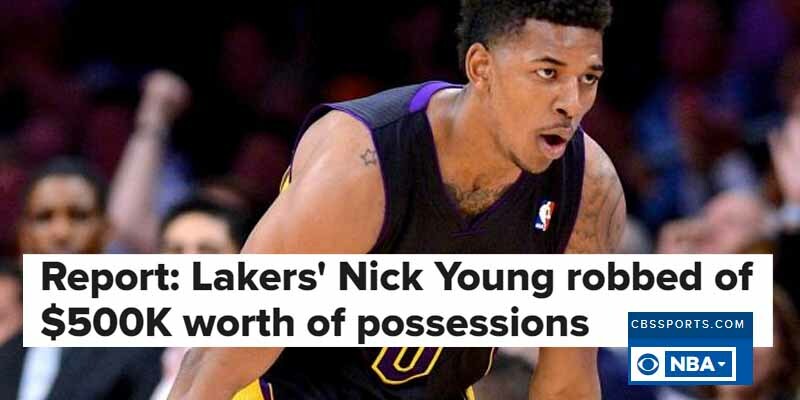 Nick Young had the misfortune of being burglarized twice. The first time was in March 2014 when he lived in the Sherman Oaks neighborhood of Los Angeles and the burglars made off with $100,000 worth of $100,000 in jewelry, clothes, luggage and high-priced Yeezy sneakers. The second time was in March of 2017 at his $3.4 million Tarzana property, where the thieves swiped $500,000 worth of jewelry and other items.